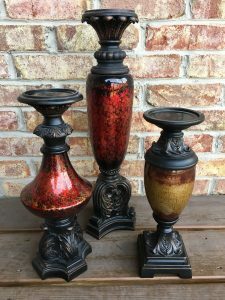 I have had these candle sticks for years and while I still love the shape and texture of them, the dark colors look outdated. 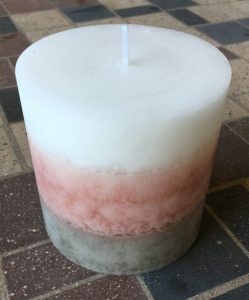 I knew I wanted to give them an update but until I found these blush, white, and greige candles I wasn’t sure exactly how I planned to update them. I found these candles at Target. Well, I like to think they found me, isn’t that how Target works after all. Disclaimer: We are a participant in the Amazon Services, LLC Associates Program, an affiliate advertising program designed to provide a means for us to earn fees by linking to Amazon.com and affiliated sites. 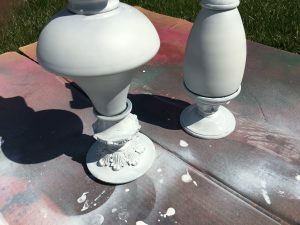 The chalk paint created a matte finish. 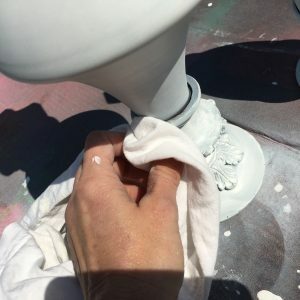 I allowed the chalk paint to dry overnight and applied a light overcoat of gold using a spray paint like this one. While the overcoat dried, I began work on the tops and bases – all of which are wood. 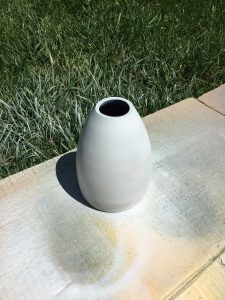 To make sure I didn’t loose any of the depth or detail of the wood, I first brushed on this pickling wash in cottage white. Then I lightly rubbed the paint with a dry cloth, making sure there were no drips or runs in the crevices. After I allowed this to dry I applied a light coat of the same spray chalk paint I used on the glass pieces. After allowing this to dry overnight, I applied gold leafing to the tops and bases of the candlesticks. Please click here to see the step-by-step process, and a short video, of applying gold leaf. 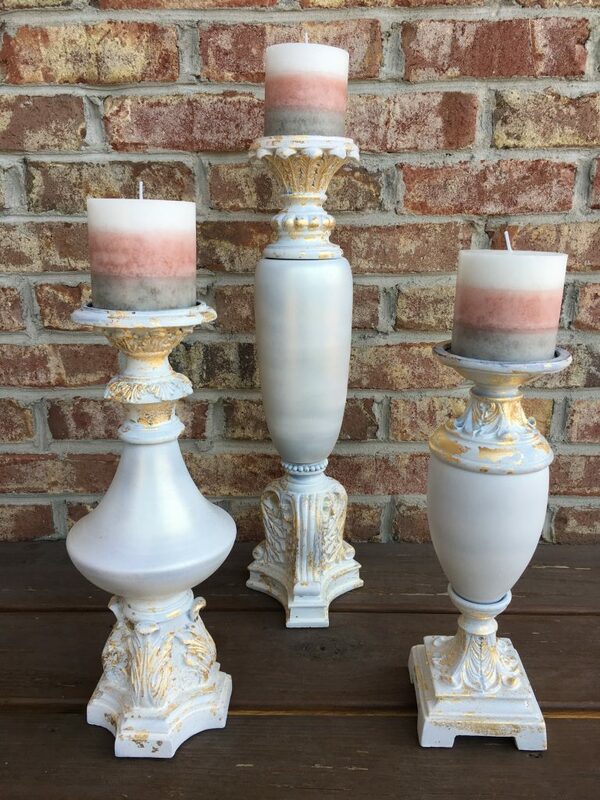 To see the candlesticks styled in my dining room please click here.